Can you believe it is July already? I feel like this first 6 months has just flown by and before we know it Christmas will be here. Before I get ahead of myself let me share with you a really great book from Time For Kids. 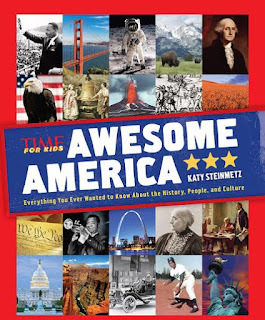 Awesome America by Katy Steinmetz is a fantastic history book showcasing all things America. From inventions to Presidents and statistics to the Statue of Liberty you will learn it all here. 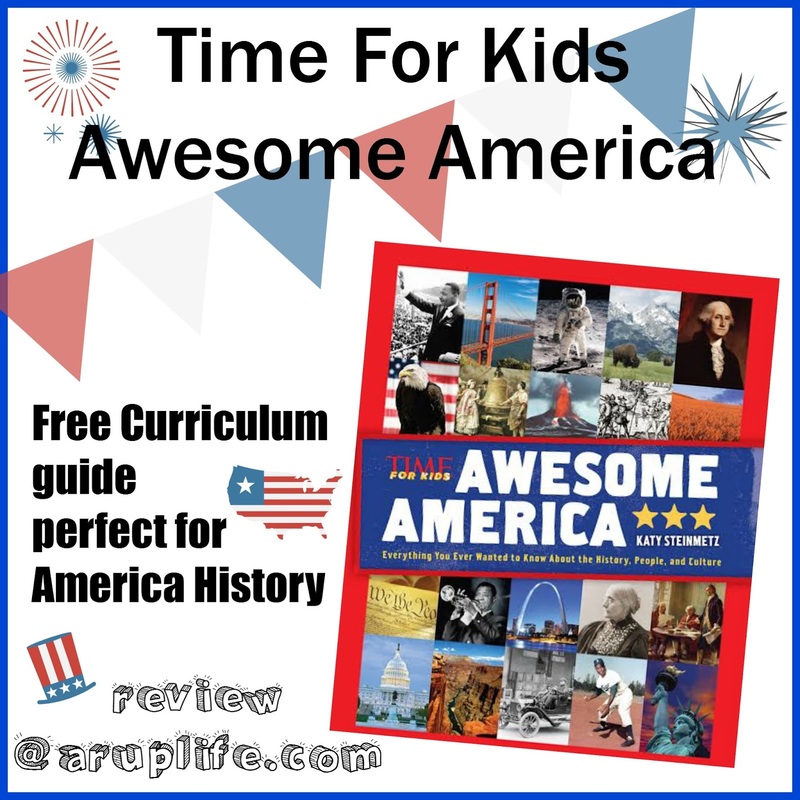 Why are some history books for kids ho-hum? Not this one! 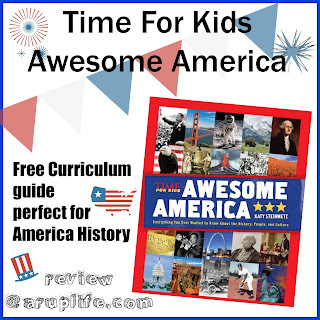 This wide-ranging overview of American history from Time for Kids goes the extra mile to bring alive the notable people, landmark events, and unique American innovations of our rich past. The historical photos, appealing sidebars, entertaining quizzes, fascinating charts and more make the history of our country interesting, interactive, and fun. I really love this book. It is written in a way that is engaging to young children because of information coming to them in bite sized portions. 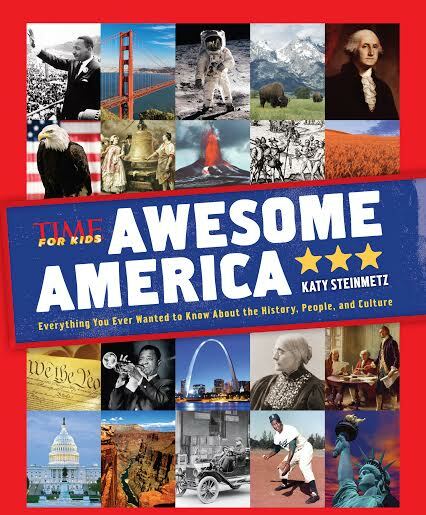 We will be using this as part of our history curriculum for Kindergarten this upcoming year as we study American History. The bigger kids are also learning American History so this will be the perfect addition for the little guy. The Yellowstone National Park is one of my favorites! I like the Grand Canyon. Ronald Reagan is the president I remember from my childhood. I think the Statue of Liberty is my favorite! My favorite American Landmark is Hoover Dam. My favorite American Landmark is the Hoover Dam. My favorite American landmark is the Grand Canyon. One of the presidents is George Washington.